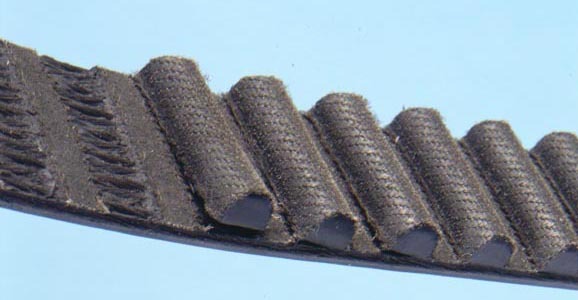 There are many reasons for premature timing belt failure. Here, Gates answers some of the most common questions that installers ask. Q: Can you fit a timing belt the wrong way around? A: Timing belts are not directional. Although some belts are marked with arrows, they are only there to ensure that any timing marks on the belt will line up with any timing marks on some drive systems. So, if there are no arrows, it makes sense to install the belt so that any embossed writing on the belt is the correct way up. This may also be helpful in the event of any future fault diagnosis. 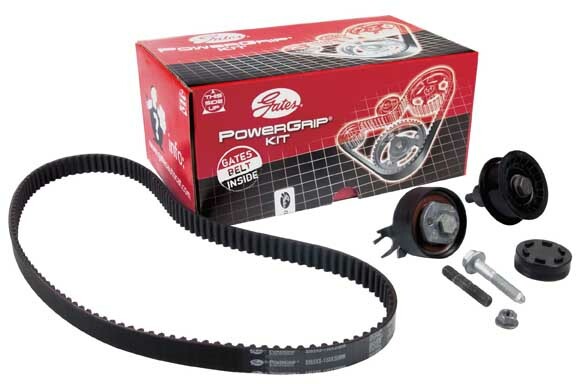 Q: Can you refit a timing belt? A: The short answer is no. Many mechanics argue that they can. They say that as long as the belt is marked and replaced in the same direction of rotation, subsequent wear will take place at a similar rate to any prior replacement. Every timing belt has an “installation tension”. This tension is a factor in the construction of the belt and it is crucial to the performance of the engine and its drive system components. Once the engine has been run at full engine temperature, initial tensile decay takes place. The “installation tension” cannot be replicated even if the engine is allowed to return to ambient temperature. Bearing in mind the cost of the belt and the potential cost of repairing an engine, it’s hardly worth the risk. N.B Micro-V belts on auxiliary drive belt systems (ABDS) can be re-tensioned and therefore can be refitted. If it seems likely that the ABDS belt has done high mileage, don’t refit when it should have been replaced. Always replace all belts at ambient temperature. Q: Is a ‘quarter turn’ of the belt an accurate gauge of correct tension? A: Absolutely not! Belts have different tension settings. The measureable tension varies according to the span length (the distance between pulleys and each individual component). If the span is long it is easier to twist. It does not imply that the tension is correct – or even approximately correct. In any case, an approximation is unacceptable. Belt tension must be precise. Vehicle manufacturers install belts at the precise installation tension. Gates recommends the STT-1, a precision gauge to help aftermarket specialists achieve the best result. Q: If pulleys are not worn, why replace them? A: Ten years ago, a typical drive belt replacement cycle was about 35,000 miles. The range of replacement cycles in modern vehicles is more likely to be between 80,000-150,000 miles. It’s all thanks to improvements in belt construction and drive system design. Pulleys are designed to last this long, too, although the amount of wear from vehicle to vehicle is variable. A mechanic who fails to change a pulley at the scheduled interval because there is no sign of wear clearly expects it to be capable of running for at least another complete duty cycle. This is a brave move but not recommended. 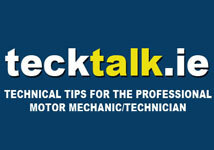 Q: What are the most common causes of premature timing belt failure? could some kind of drive belt failure cause damage to the engine? 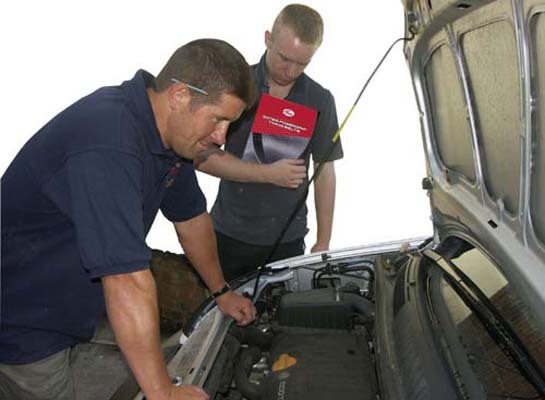 could engine failure have caused damage to the drive belt? For example, oil starvation at the camshaft may cause a seizure. A leaking water pump can generate similar problems.